Khan, M.A., Treloar, P.J., Searle, M.P. & Jan, M.Q. (eds) 2000. Tectonics of the Nanga Parbat Syntaxis and the Western Himalaya. Geological Society, London, Special Publication, 170. Hamidullah, S., Jan. M.Q. & Lawrence, R.D. (eds) Abstarct Volume 13th Himalaya-Karakoram-Tibet-International Workshop, 1998. Kazmi, A. H. & Jan. M. Q. ( eds. ), 1997. Geology and tectonics of Pakistan. Graphic publisher, Karachi, 554p. Majid, M., Jan, M.Q. & Khan, M.J. (eds. ), 1991. Proceedings of the second Pakistan Geological Congress (Part 11). Special issue (vol.24) of the Geological Bulletin, Univ. of Peshawar, 237p. Majid, M., Jan, M.Q. & Khan, M.J. (eds. ), 1990. Proceedings of the second Pakistan Geological Congress (Part 1). Special issue (vol.23) of the Geological Bulletin, Univ. of Peshawar, 263p. Ghauri, A.A.K., 1990. Manual of Structural Geology - Techniques used in Structural Analysis (vol. 1). N.C.E. Geology Univ. of Peshawar, 148p. Ghauri, A.A.K., 1989. Laboratory Excercise Book in Structural Geology. 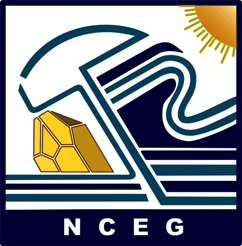 N.C.E. Geology Univ. of Peshawar, p.324. Jan, M.Q., Khan, M.J. & Hamidullah, S. (eds. ), 1989. Tectonic Evolution of Collision Zones between Gondwanic & Eurasian Blocks. Special issue (vol.22) of the Geological Bulletin, Univ. of Peshawar, 239p. Tahirkheli, R.A.K., Jan, M.Q. & Majid, M. (eds. ), 1980. Proceedings of the International Committee on Geodynamics, Group 6 Meeting at Peshawar. Special issue (vol.13) of the Geological Bulletin, Univ. of Peshawar, 213p. Tahirkheli, R.A.K. & Jan, M.Q. (eds. ), 1979. Geology of Kohistan, Karakoram Himalaya, northern Pakistan. Special issue (vol.11) of the Geological Bulletin, Univ. of Peshawar, 187p.